Was born in Russia and moved to the United States when he was 8 years old, he speaks fluent Russian but his dreams are in English! He knew he wanted to dance when he saw the movie “Breakin’” when he was 13. He moved to Los Angeles when he was 16 and remembers his first dance class in the city was a master class with Wade Robson. He soon started taking many classes from that point especially from Tabitha and Napoleon, Marty Kudelka and Tovaris Wilson. 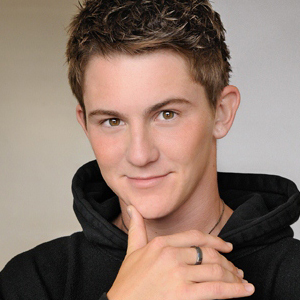 He was a top ten contestant on the second season of So You Think You Can Dance. Some of his favorite dance jobs include anything he does with Marty Kudelka and the Michael Jackson tribute Chris Brown performed on the 2010 BET Awards choreographed by Rich + Tone Talauega. His inspirations have come from Michael Jackson and Gene Kelly. He loves to play sports, especially golf and basketball. His favorite team was the Seattle Supersonics but now it’s the Lakers. He loves a good steak – can’t decide what’s better between Ruth’s Chris or Morton’s steakhouse. He also DJ’s for fun. Ivan is currently dancing with Justin Timberlake on his 20/20 tour.